What should I ride? Ride what ya got! 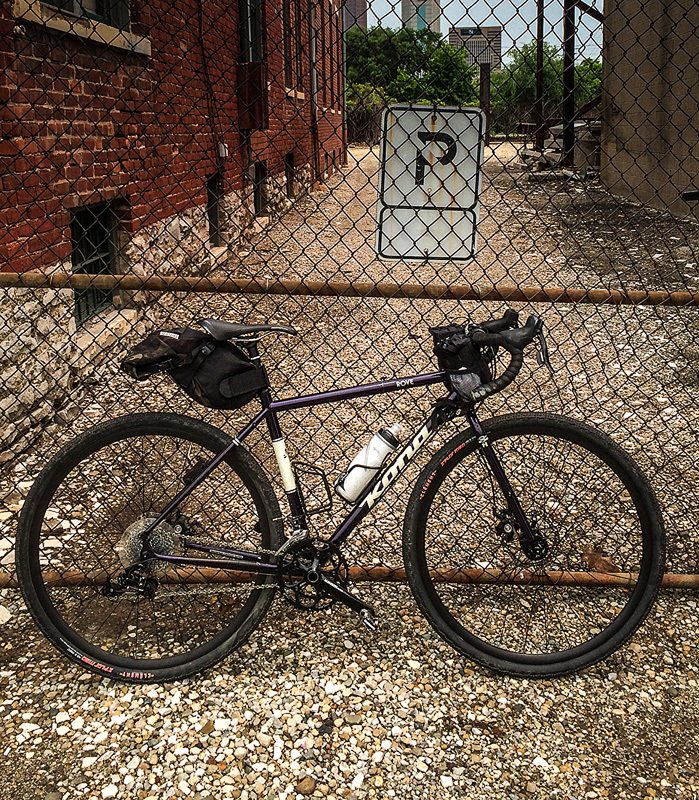 If you are just getting started in gravel we recommend cyclists ride what they are comfortable riding. I am comfortable riding a 2” mountain bike tire on an adventure bike, but you may feel comfortable on 28mm slicks installed on a road bike. 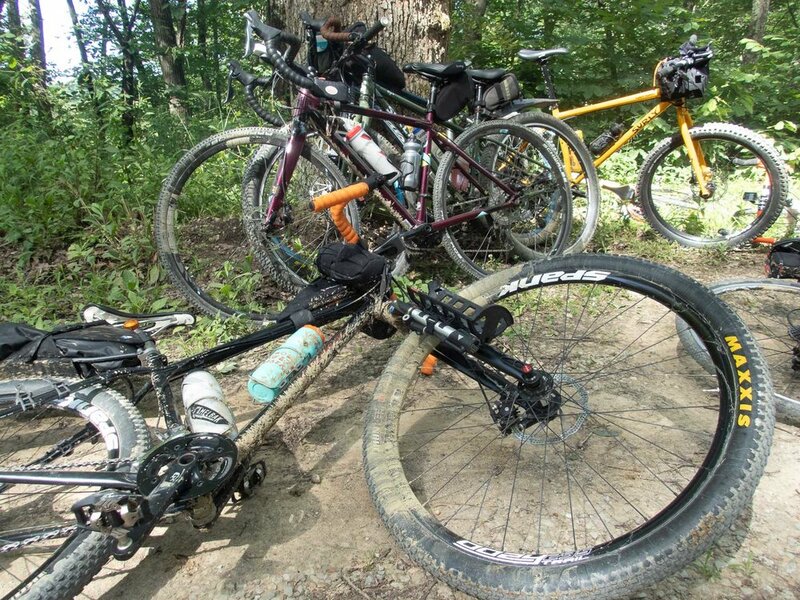 It is typical to see road bikes, mountain bikes, cross bikes and gravel bikes on our rides. What do I eat while on a ride? Many of us bring snacks like bananas, cookies, peanut butter and bagels. We bring plenty of water to stay hydrated. Our rule of thumb is a bottle of water an hour, more if it is hot outside. If you want to buy prepackaged energy foods there are many to choose from, including Honey Stinger, Clif Bar, GU, and PowerBar. There are many, many more! If you are training for an event the options became even more plentiful and you may want to consult with a nutritionist and/or a trainer. It’s what you wear on your body! Duh. Stop back for some tips on clothing for all seasons. Navigate! Our events always include a GPS route, unless it is an Explorer route where we may go off course to find out where the path leads. If you join us for a ride and you don’t own a GPS unit please make sure you follow a pace leader who knows the route or is following the route on GPS/Cellular Phone. Some of the more popular mapping software includes Ride With GPS, Strava, and MapMyRide. Popular GPS units are available from Garmin, Wahoo, Lezyne, Magellan, and Hammerhead. It’s like backpacking, but on a bike! Here’s an idea, how about letting your bike carry all the weight? All you have to do is pedal it. Sound easy? Just about, but there are a few things to consider. One is - you guessed it - weight. The more you carry, the harder it is to get over that next hill. We’ll teach you some basics so you can get started on your own journey, exploring further than you had ever thought possible! Just go to our bikepacking section to get started.